2. In a fry pan, brown the onion with some olive oil and then add the mince on medium heat. Once its brown, add the pasta sauce along with the whole peeled tomatoes. Squeeze them gently over the pan one by one to create texture and release maximum flavor. 3. 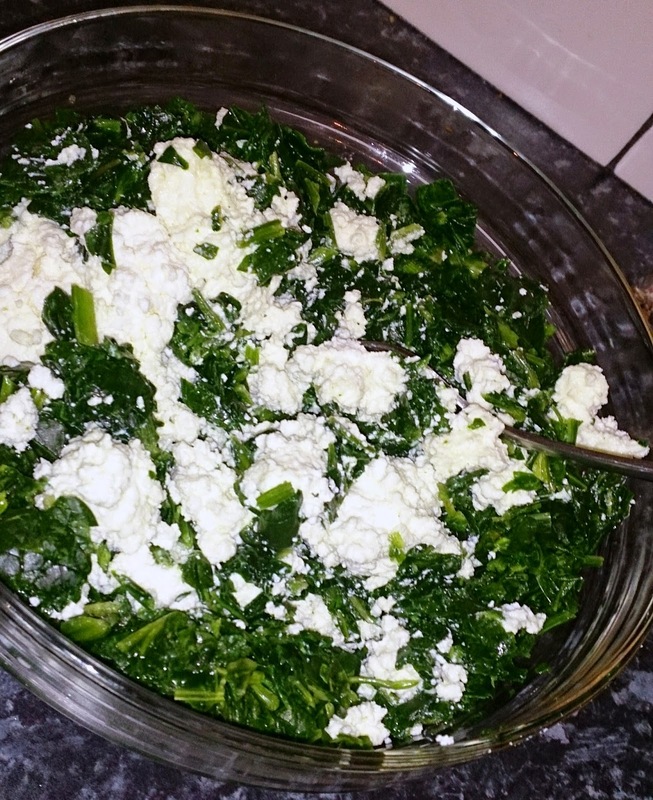 Microwave the spinach, once it has defrosted, mix it with the ricotta cheese in a small bowl separately. Set aside. 4. Using a baking dish, first spray with canola oil to avoid it from sticking. Add a little sprinkle of grated cheese as the base. 5. 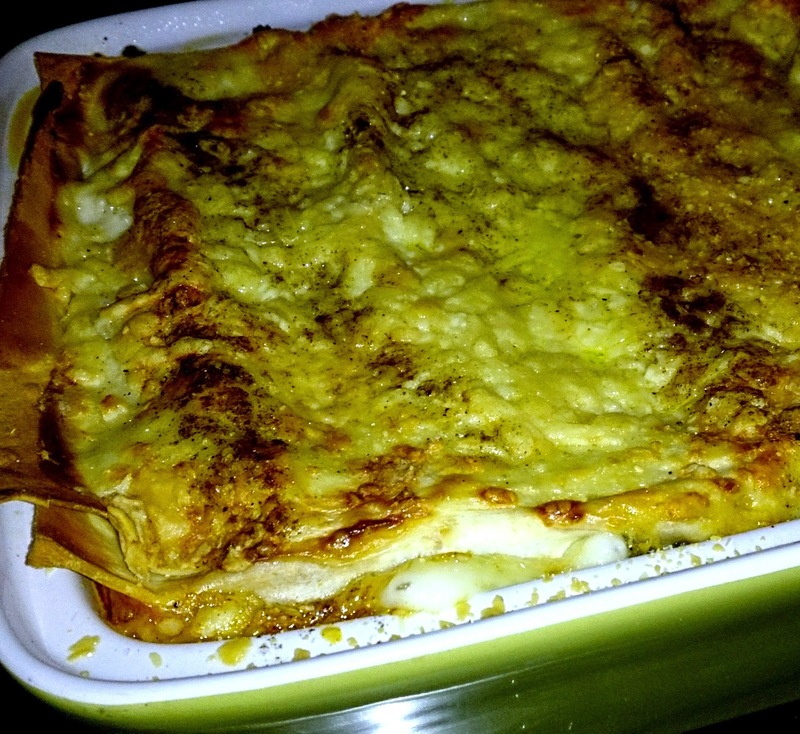 Layer it with some pasta sheets, add a small layer of beef mince, than tasty cheese, mozzarella cheese and small amount of parmesan cheese. 6. 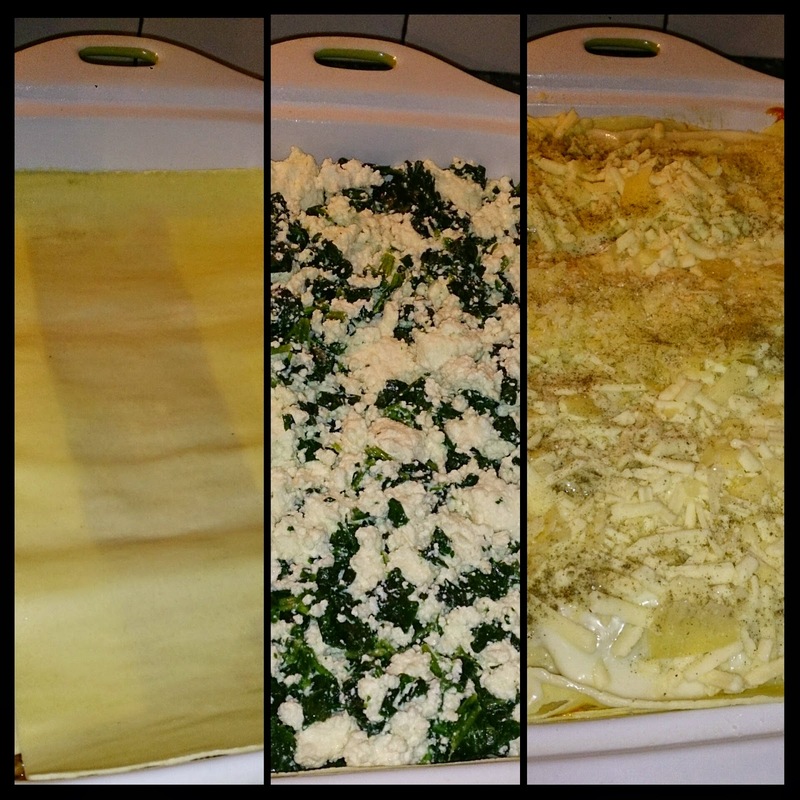 Add a layer of pasta sheets, followed by the spinach and ricotta mixture. 7. Repeat step 5 , and finally on the top layer add all three cheeses, salt and pepper. 8. Bake in the oven for around 40 mins or until golden brown. 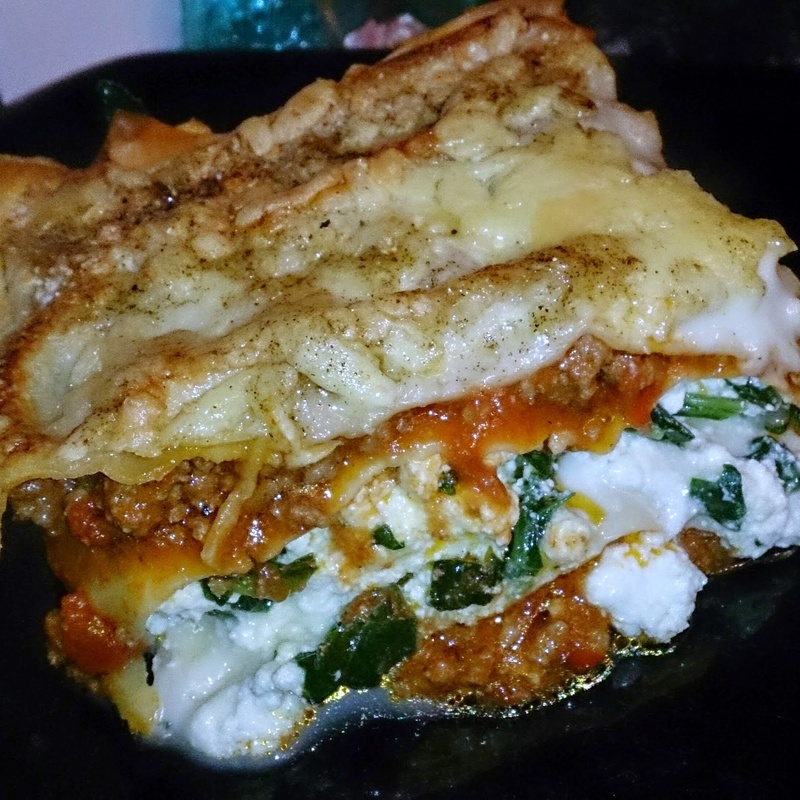 Posted in DinnerTagged beef, beeflasagna, cooking, dinner, food, lasagna, recipe, ricotta, spinachBookmark the permalink.